Mulk Holdings is a global business with diversified interests in building materials and construction, plastics, energy, healthcare, real estate, commodities and Sports management. 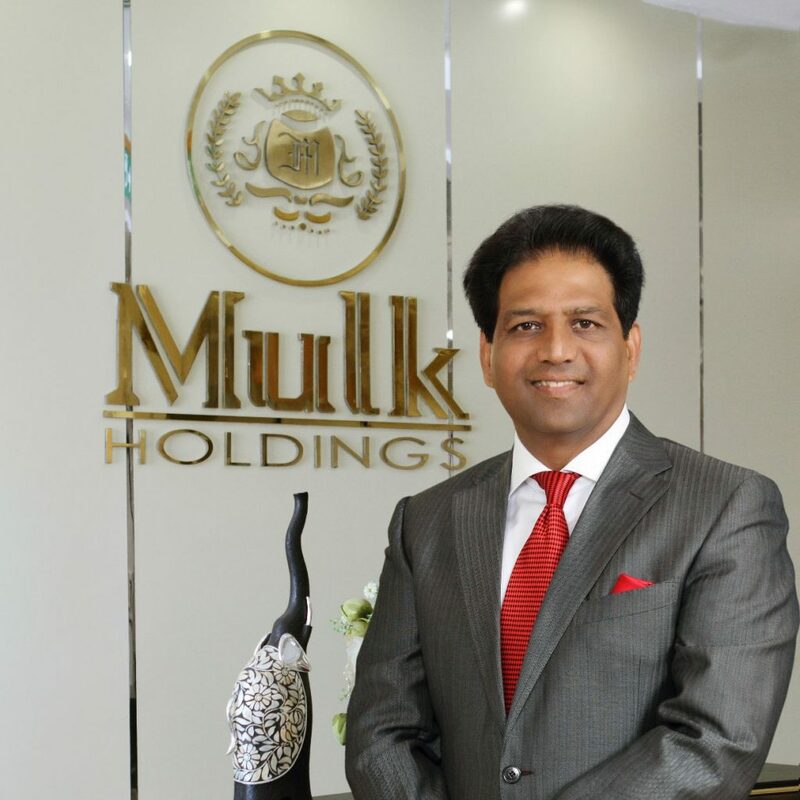 Founder and chairman Shaji Ul Mulk has built a thriving presence for the UAE based Mulk holdings in more than 50 countries with a workforce of 7,500 members worldwide. Mulk Holdings has active branches/group companies across the regions of USA, Europe, Middle East, Africa, India, Malaysia, China and Sri Lanka. Starting out from 1982, Shaji Ul Mulk has 32 years experience in the business landscape of UAE, as an entrepreneur. He has built a billion dollar enterprise with core businesses growing at a rate of 31% as of end of 2015. The company has grown organically by acquiring projects in Renewable Energy Africa and India, building contracts in Saudi Arabia, Africa; and the prestigious Ajman Sports City Project. With an eye on the future, Mulk has made strategic investments in new tech sectors like aeronautics and Nano technology. The flagship brand of the group is Alubond usa, an aluminum composite cladding product developed in USA. Awarded as one of the worlds 100 greatest brands, Alubond usa is the largest aluminum Composite Panel Brand in the world, with an installed manufacturing capacity of 25 million square feet and installations in more than 90 countries around the world.